Have you ever noticed how me ntally and physically refreshed you feel after sitting by a gashing waterfall? Or how you experience a boost in energy after spending some time at an untamed seafront? What makes you feel so good in spots of this kind is the abundance of negative ions, which get produced in some natural places. Now, there is a way to mimic these perfect circumstances in your own home and indoor places where you spend a lot of time. Himalayan natural salt lamps have the ability to chemically and physically transform a room, and have unique healing effects. What is a Natural Salt Lamp? Himalayan Natural Salt Lamp is an all natural product that comes directly from the earth. The salt is mined from the foothills of the Himalayan Mountains formed over 200 million years ago. It is so pure that it requires little or no refining. Our Natural Salt Lamps are natural ionizers, generating healthy negative ions that purify the air, increasing your overall air quality and well-being. 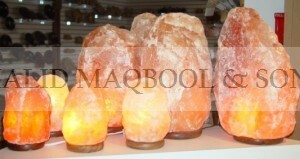 These salt lamps are cut from natural salt from northern Pakistan. How do Natural Salt Lamps work? A natural salt lamp works by drawing water molecules from the air to the surface of the salt lamp, (known as hygroscopy) and as the lamp is warmed by the globe, a gentle chemical reaction takes place. Healthy negative ions are then released into the air, counteracting the positive ions from electrical equipment around the home and office. The air is purified which means airborne bacteria, mould, viruses and allergens as well as respiratory irritants and asthma triggers cannot survive in the negatively charged environment. Himalayan Natural Salt lamps have a similar effect to an ionizer. 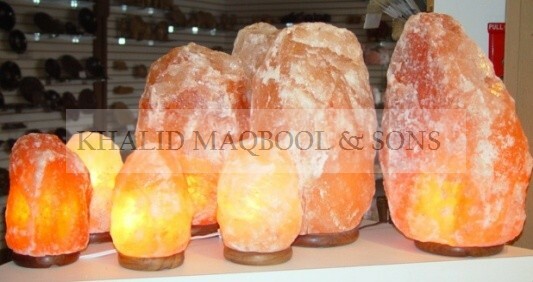 However, natural salt lamps have many advantages in many aspects, including improving the general atmosphere of a room. The environment we live in today has far more sources of positive ions than in the past, creating an electrical imbalance in the air. eg discharge of voltage in high-voltage networks, heating and cooling systems, TVs, radios, transmitters, radar systems, computers, exhausts and cigarette fumes. Measurements have shown that the number of negative ions decreases to 200/cm3 in a closed room containing several people Salt lamps are known for emitting negative ions that are essential for our health and well being. The warmth of the salt draws in moisture from the air and converts any damaging positive ions to negative ions in the surrounding area. Today’s technology including computers, TV’s, microwaves, cordless phones, mobile phones etc all emit large amounts of positive ions. The potential outcome is physical and mental fatigue. Where to place Natural Salt Lamps? • Environments with pets, high pollen counts, smoking, or other atmospheric inhibitors. Place a natural salt lamp in your child’s room and watch him fall asleep with gentle ease or put it next to your computer and feel your stress dissipate as the negative ions counteract the electromagnetic fields bouncing off the computer. You can put it in your TV room, or your office. It really doesn’t matter which room you choose, it is totally up to you where you want to place this unique gift of nature. These functioning electric lamps enclosed in a chunk of salt have been adding their pleasant glow to health fairs and mall kiosks for years. Unlike most light fixtures, illumination isn’t their main selling point. Salt lamps are touted as a natural source of “negative ions” that supposedly improve the health of anyone nearby. Shopping over the Internet, you can quickly find salt lamps in many shapes, including pyramids, Tear and, appropriately enough for the season, Salt Bowl with Chunks. The claims: According to one USA website, the negative ions released by salt lamps will relieve stress and “clean ambient air.” The cleansing power of the lamps supposedly makes them “especially helpful for relieving the symptoms of allergies and asthma.” The site also claims that the lamp’s soft orange color can boost mood and improve the focus of children with attention deficit disorder. Other sites claim that salt lamps can treat migraines, insomnia, depression, sinusitis and viral infections. Even if these salt blocks somehow released ions through a loophole in the laws of chemistry and physics, they couldn’t deliver on their health claims, says Michael Terman, director of the Center for Light Treatment and Biological Rhythms at Columbia University Medical Center in New York City. Terman’s studies have found that large doses of negatively charged oxygen ions generated by a machine can help ease depression in people with seasonal affective disorder — a finding touted on several salt lamp sites. But there’s a world of difference between oxygen streaming from a machine and chlorine supposedly trickling from a rock, he says. “I was dismayed to see my research touted by salt lamp companies. It’s disgraceful.” As for the claim that the color of the lamps can dramatically improve mood or treat ADHD — “that’s just nuts,” Terman says. Other studies of negative ions (from machines, not salt) have had decidedly mixed results. For example, a review published in 2003 found no evidence that negative ions can improve symptoms of asthma. The Canadian company owner says his salt lamps can’t really be compared to machine ionizers. “Salt lamp don’t produce as many ions as a machine,” he says. “In nature, things happen very slowly.” Or, some would say, not at all. Our salt crystal lamps and candle holders are made from natural salt crystals, which are found hundreds of meters underneath the Himalayan,Pakistan. Each lamp and candle holder is carefully handcrafted, thus making it unique and creative. Our salt lamps are hand washed and sun dried making them natural and pure. Himalayahas the largest salt deposits in the world with 1290 running miles and can last another 365 years by improving our air quality and healing many diseases. 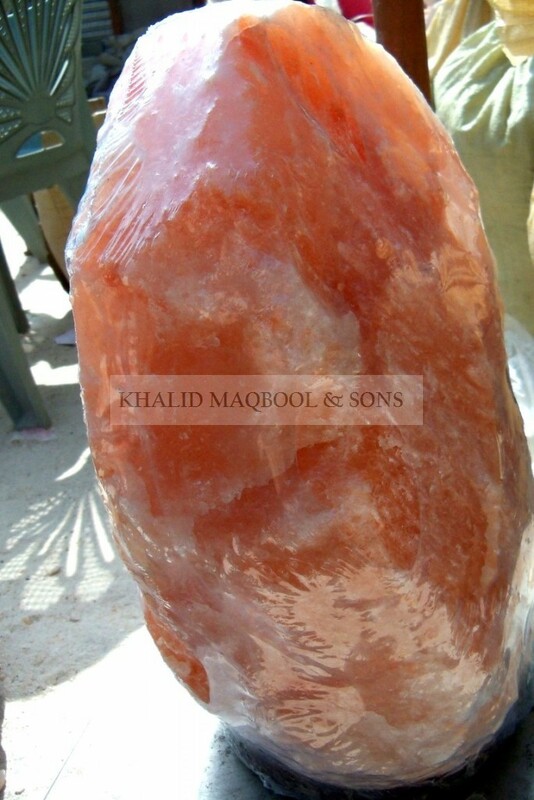 The natural color of these salt crystals blends from off white to apricot and orange to warm pink. 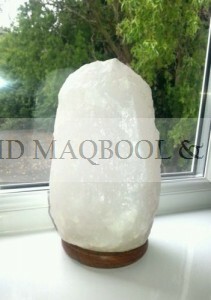 Rock salt crystals and lamps effectively improve the quality of air by producing negative ions – the “vitamins of the air”. Salt crystals naturally provide the powerful negative ions essential for our health which is severely affected these days by our hi-tech life style. They give the air its invigorating freshness, which is good for human beings.Crystallamps due to their illumination emit a higher number of ions. Speleotherapy or underground climatotherapy is an alternative treatment for asthma used inEastern Europe.This treatment involves spending 2-3 hours a day underground in salt mines over 2-3 months. 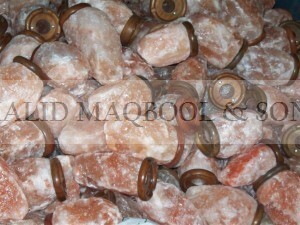 Process involves using the health enhancing effect of salt mines to cure asthma. Speleotherapy is carried out in salt mines where there is large number of healthy ions. These are the same ions that are given off by salt lamps. The amount of negative ions a salt lamp releases depends on its size and the heat absorbed by the lamp. The larger the salt crystal, obviously, the more amount of negative ions it can produce. Even though they are not a medical device, Salt Crystal Lamps, by emitting negative ions, significantly reduce a numerous indoor air pollutants. Negative ions have many known benefits and may provide relief from sinus, migraine headaches allergies and hay fever, reduce the severity of asthma attacks, enhance the immune system, increase alertness, increase work productivity and concentration, increase lung capacity and reduce susceptibility to colds and flu.